Welcome back to everyone! We do hope you all had a restful holiday. We have been preparing for the term’s activities and we look forward to a fun packed summer term. We will also be continuing with our topic “growing” as this half term we will be planting seeds as well as visiting the farm. We will be going for a walk in our local area to explore differences and similarities in the environment as well as visiting the park. In PSHE we will be discussing safety outside school, sun safety and transition into year 1. This Term in Expressive Arts and Design we will be creating mini beast models out of clay as well as making our very own dinosaur masks. P.E. will take place on Wednesday afternoon. Please send your child’s P.E. kit in on a Monday and leave it until the end of the week. Please make sure you have named your child’s kit, it makes it easier to return lost items. As the weather starts to get warmer we will be doing P.E. outside, therefore your child will need to bring a pair of trainers in their P.E. bags each week. Your child will also need a named water bottle in school, daily. Stay and play will continue on Friday mornings. The first session will be Friday 26thth April. Parents, grandparents, siblings etc are all welcome, the session runs from 9.00am-9.30am. You can use this time to play with your child, look through their books and proud folders as well as speaking to any member of staff. We hope to see you there! Phonics club will resume on a Monday after school. The first session will be Monday 29th April. All children must be accompanied by an adult, the session runs from 3.15pm-3.45pm. 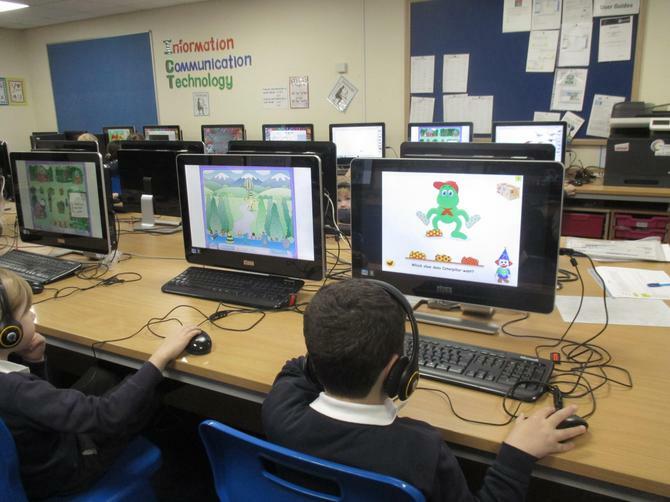 The phonics club involves children revising sounds learnt so far by playing games, reading and writing activities. 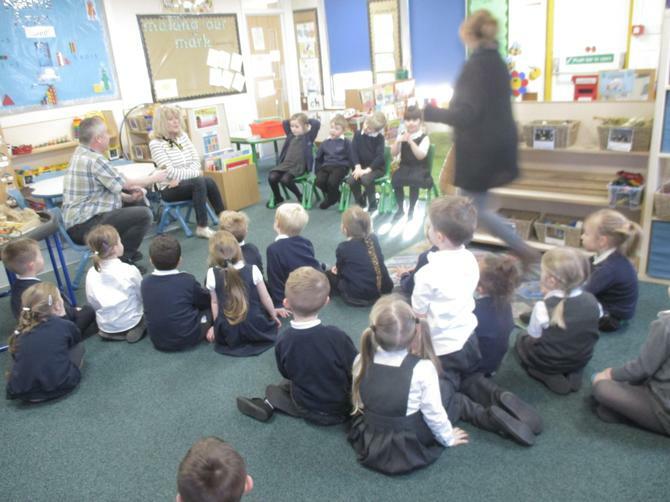 By the end of Reception children are expected to write short sentences independently using their phonics knowledge, the session will help support children as well as parents. You can take resources home with you, or ask for resources that you think will help your child. I understand many of you cannot attend due to work commitments, please ask for any resources or advice. We hope to see you there. We would like to invite you to our new reading club every Monday at 2.45pm. This is an opportunity for you to read with your child or a small group of children. You can read to your child or they can read to you! Reading club will finish at 3.15pm and phonics club will start until 3.45pm. We hope you can make it! We ask that you continue to read with your child regularly so that they are having the opportunity to revise their sounds they have learnt. Please sign, date and write any useful comments in the reading diary, ensuring that they are in your child’s book bag each day. We hope you are enjoying looking through your child’s learning journey on Tapestry. If you are having trouble accessing it, please let a member of staff know and we can sort this out for you. Please add any photos and comments from your weekend or any out of school activities your child has done, children love to look on Tapestry and share their experiences with the class. It is very useful if you can name your child’s uniform, coat and pumps as children can get items mixed up. Just to remind you, your child will receive free milk until they reach the age of 5. If you would like to pay for your child to have milk once they turn 5 please get in touch with Cool Milk. For any further information please see Mrs Milner in the office. As you are aware we are going to Temple Newsam Farm on Thursday 25th April leaving at 9.30am and returning by 3.15pm. If you have not paid please do so as soon as possible. Please note that whilst this is a voluntary contribution, the cost of the trip has been worked out with every child paying the full amount. Unfortunately, if there are insufficient funds to pay for the trip then we will have to cancel. If you do not have a Parent Pay account please see Mrs Milner in the office who can help set up an account for you. She is available Monday – Thursday 9am-12pm. The required medical form is also on Parent Pay and should automatically come up when you click to pay for the trip. No child will be able to come on the trip if we do not have these details completed. 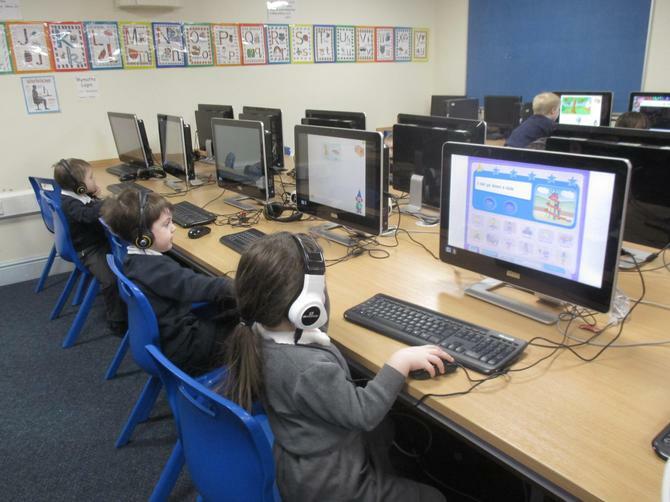 Please can you access Parent Pay at your earliest convenience and complete this. Children do not need to wear school uniform, however we do ask for sensible shoes or even wellies and a warm waterproof coat. A packed lunch will be provided by our school cook Dianne. If you would prefer your child to bring their own packed lunch please let us know. Please do not hesitate to contact us with any concerns or questions. Columba enjoyed playing games with the giant parachute in the playground. As part of our topic "People Who Help Us" we had a visit from the fire brigade. It was very exciting! We got to have a look inside of the fire engine, squirted water out of the hose and even turned the siren on! 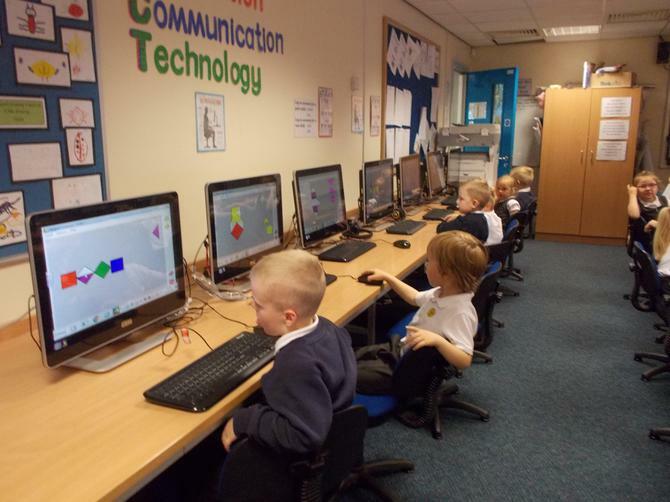 Computing Lesson - The children in Reception have been learning to log on to the local network using their own unique log in. 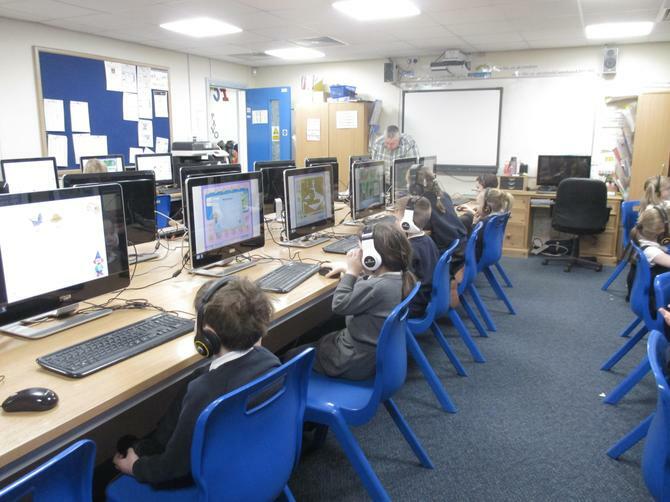 They have learnt how to access a variety of programs and can all interact well with the software available. How to pronounce letter sounds. 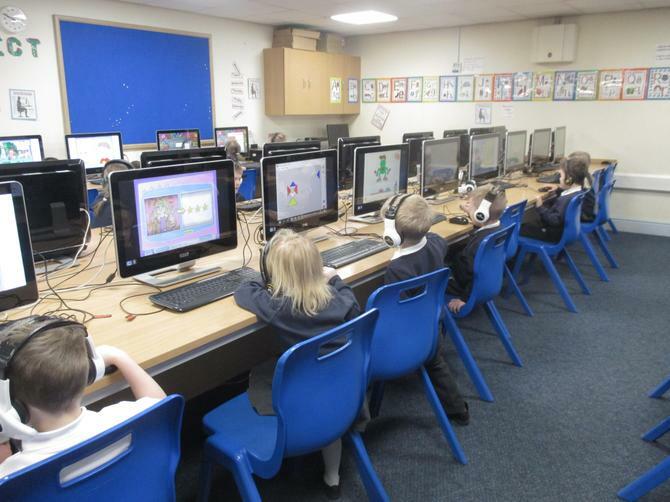 Computing Lesson - The children have settled in really well. 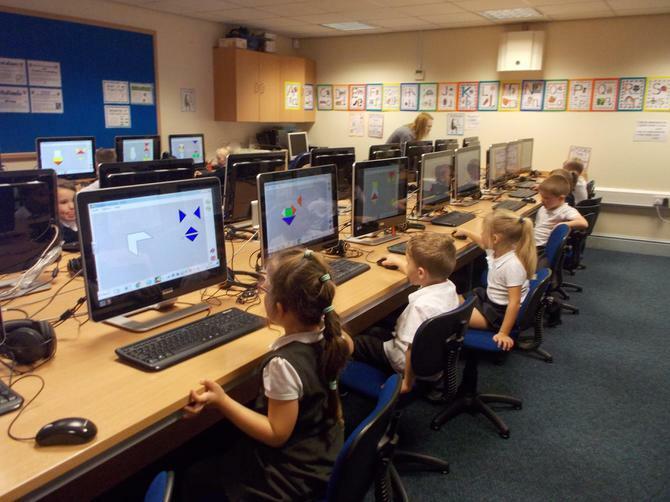 When the children first start school we introduce them to the ICT suite where there is a computer for each child. 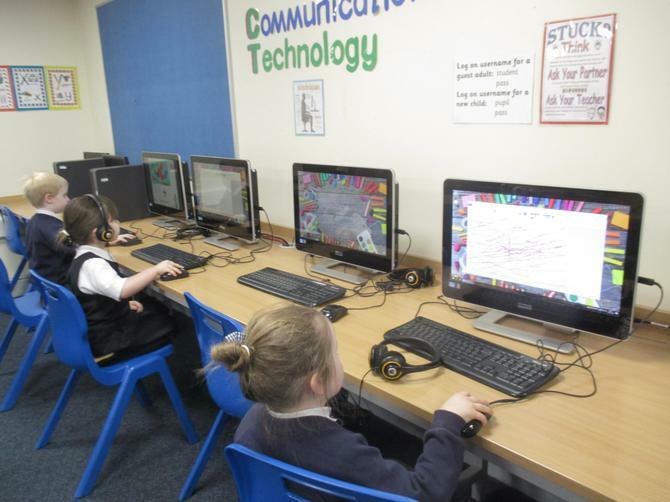 During their first term in school they will learn about the different parts of the computer such as the monitor, mouse, keyboard and tower. We also have a wide range of activities to develop mouse control and navigation.